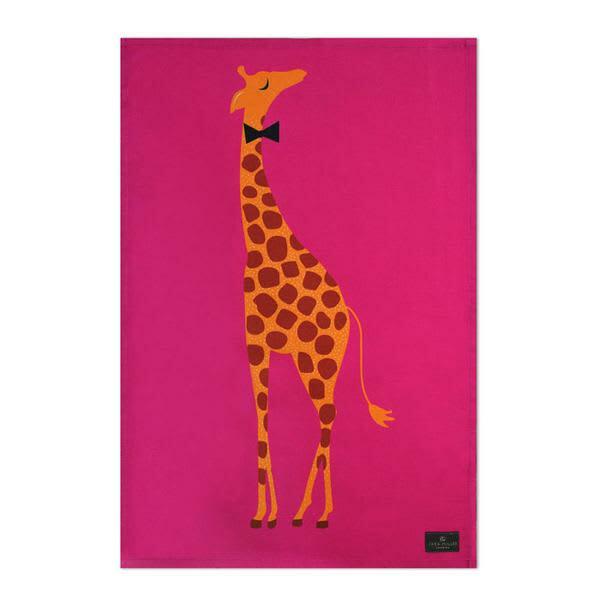 The Sara Miller London Giraffe Placement Tea Towel is part of a quirky and playful design, brimming with personality. Printed on high quality cotton and presented in a foiled box, this vibrant range will add a splash of colour to your home. Care: Hanging loop on inner corner. Wash with similar colours at 30 degrees. Vivid dark colours can fade after washing. Keep away from fire. Kooks Unlimited in Richmond-Upon-Thames, United Kingdom.